Venezuelan security forces detained Roberto Marrero, a lawyer and key aide to opposition leader Juan Guaidó, on Thursday morning after raiding his home, per the AP. The big picture: The U.S. has warned Maduro and the Venezuelan government to not take action against Guaidó, who is supported by over 50 countries in his bid to be Venezuela's president and is also being investigated by Venezuelan prosectors for an alleged attack on the country's power grid. Maduro, backed by allies Russia and Cuba, says Guaidó is part of a U.S. plan to overthrow his government. What's happening: Marrero's detainment was reported by neighboring lawmaker Sergio Vergara, who said that his home was also raided. 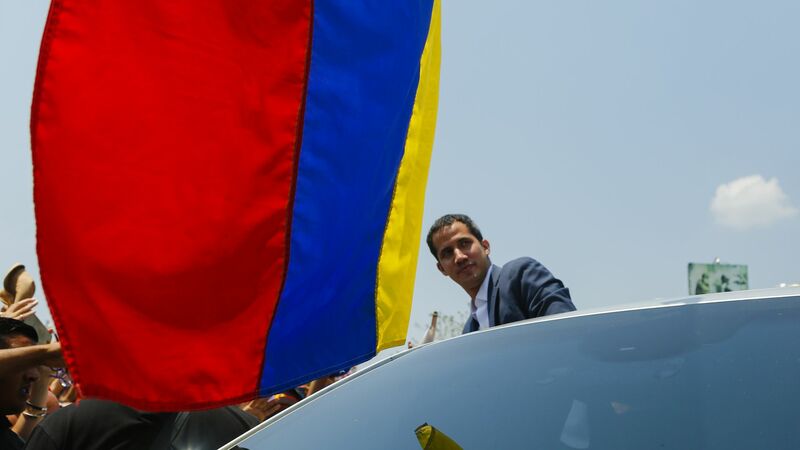 Guaidó tweeted on Thursday morning: "We do not know his whereabouts. He must be released immediately."